Better late than never on this one. I had the opportunity to check out the SOFA Expo (Sculpture Objects Functional Art + Design) this past fall during opening night thanks to the Evening Associates at the Art Institute. I wasn’t sure if I’d enjoy it as much as more painting-focused expos, but I actually saw a lot of really interesting pieces. 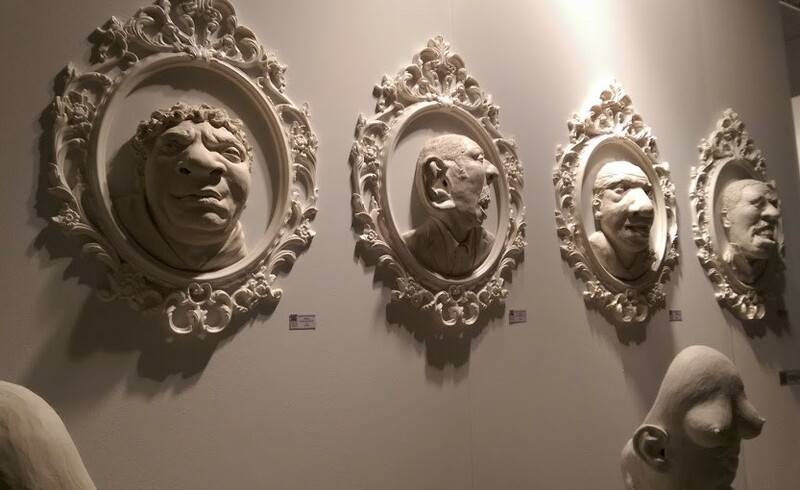 One of my favorite booths at the expo was the Maria Elena Kravetz gallery, which featured these striking white plaster faces by Rodrigo Lara Zendejas. I was drawn to these wooden sculptures by Jason Robert Griego at the William Zimmer Gallery. 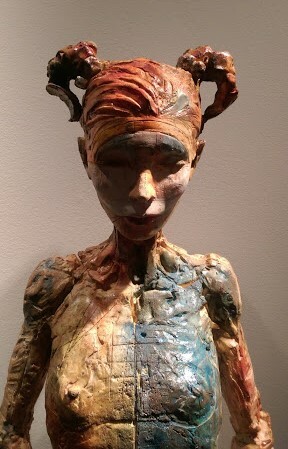 There were several pieces that seemed to capture childhood moments and imagination perfectly, including the interestingly named “Security is Mostly A Superstition” by Silvia Levenson and the trio of works from artist KeKe Cribbs.